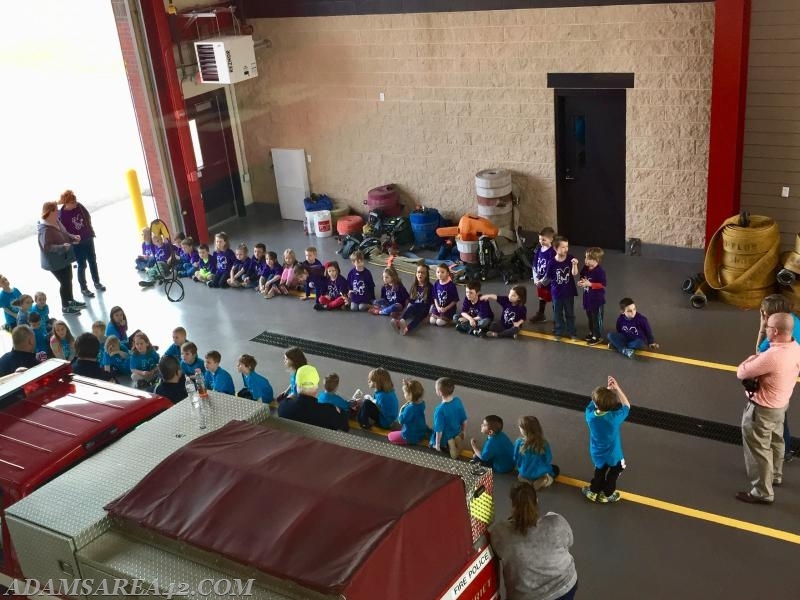 During the week of April 9-14, the AAFD hosted the kindergarten classes from Mars Area School District at the station on Rt. 228 for tours and fire safety lessons. According to event lead FF Dave Greco, approximately 230 students from all of the AM & PM Kindergarten classes attended. The students were lead through the fire station for a tour and stopped at several spots along the way for fire safety lessons given by AAFD members. Some of the lessons included: ‘no-kid zone’ kitchen fire safety, how & when to call 911, bedroom fire safety, crawl low in smoke and firefighters are your friends. After the lessons & tours ended, the kids were treated to a touch a truck event and got to spend some time on firefighter’s slide from the dayroom into the truck bay. Special thanks goes out to Mr. Todd Lape, the Primary Center Principal and the Mars Area Elementary PTO for reaching out & organizing the events. Also thanks to the volunteers of the AAFD who took vacation from work & took time out of their busy weekday schedules to help ensure the events were successful. The AAFD is hopeful to continue this outreach program for years to come!